After a frosty start the sun brought lots of keen pilots to Booker. Some began the day with the Bronze briefing on Theory of Flight and instrumentation, there followed a variety of flying. This included trial lessons, course flying, cadets taking advantage of the flights they had earned, field landing practice, instructor prep and just having fun. With all this going on there was no time to go to the clubhouse for tea so we were delighted when the Tea Dragon turned up in the shape of Nick with his campervan. The day ended with some more aerobatics flown by the US Army colonel who had come over from Germany to fly with ace instructor Graham (they won't let him fly upside down in Germany). The view of the manoeuvres against the sunset and the evening star was the perfect end to the day. After a week of howling gales and tropical rain it was a real treat to see classic wave as far south as Booker. 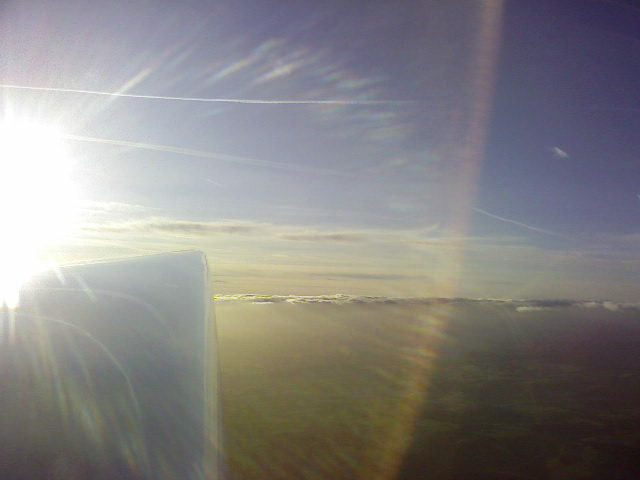 It was a glorious day with clear blue skies and the long flights were a delight. For some pilots it was their first experience of 'proper' wave and this will have encouraged them to join us on our annual trip to Aboyne . Those on the aerobatics course led by Graham and Alun had less time to enjoy the view and no chance to get into the wave but they flew 3 sorties each and all benefitted from the expert tuition. 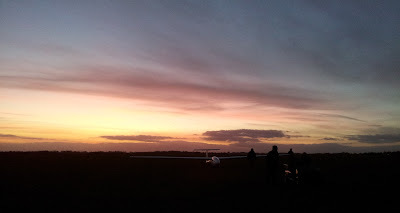 Flying went on till late, we don't usually see the evening star with 3 gliders still aloft. Plenty of fun to be had in the winter, gliding isn't just a summer activity! And just how important is all that advice you get about parachutes. 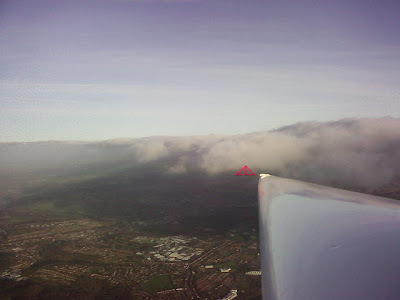 Although this video is not by Booker Gliding Club, I thought it was worth posting as it contains some important safety information from one of our ex-members; to protect his anonymity, we'll call him Dave. If, in the wind, you accidentally deploy your parachute with just the chest strap buckled, you risk a broken neck or strangulation. Thanks must go to the safety aware Glen Alison for bringing this to my attention. Next week; Bicester K13 Ejector Seat trials.